Have you been to the new Goodwill RARE boutique in Anaheim? It is so cool and has a hip vibe. I just visited this fun fashion destination and picked up some adorable pieces that I can mix and match into my everyday look, especially during this winter season. 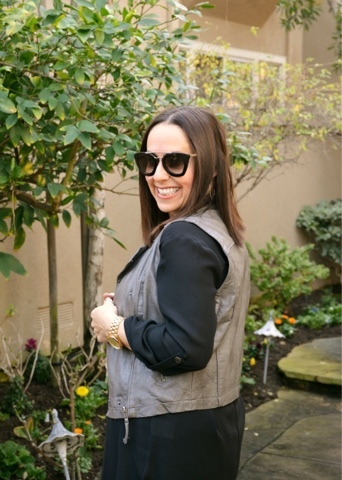 My first look is an amazing grey faux leather vest. How cute is this? I paired it with my own black long sleeved top, black skinny jeans and over the knee boots. I love the contrast of the all black with a pop of grey. 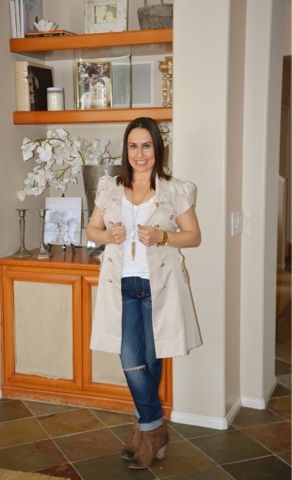 It's so easy to visit a place like RARE Goodwill and find a great piece like this vest to add it to other items you may have in your closet. My second look is this adorable dress that I stumbled upon. I love the cut and the pockets. I decided to pair it with my favorite leather jacket and over the knee heeled boots. 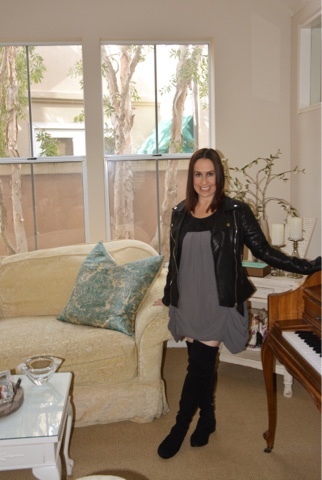 I love adding a great jacket and tall boots to dresses!!!! Such a great winter look. My third look is this designer Burberry short sleeved coat. I love that RARE carries designer brands like Burberry. I absolutely love this coat. It is so unique and I love the sleeves and gold buttons. I decided to add a perfect white t shirt, boyfriend jeans and some booties and my outfit was complete. I really enjoyed my day picking out these pieces from RARE by Goodwill and I highly recommend for you to check it out. It carries many hidden treasures that you can combine with your existing wardrobe. I'm sure you will have as much fun as I did!!! Thanks to Cathy Cordas for photos and Happy Reading!!! !